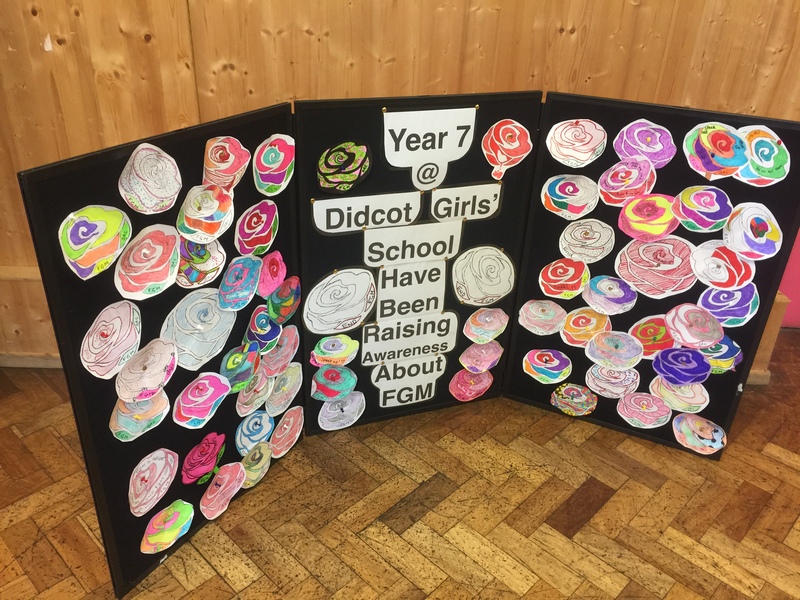 Girls from Year 7 created an art display of rose pictures to help raise awareness about FGM. 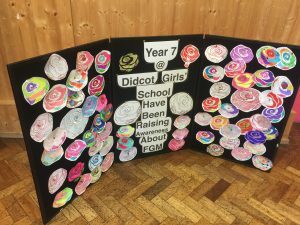 The initiative was led by Deb Burdett, Specialist Community Public Health Practitioner and School Health Nurse, after working with our team to deliver lessons to year 7 students about FGM. The artwork was displayed at OAC’s event to raise awareness about the services provided by the Oxford Rose Clinic for survivors of FGM, Rose Awareness and to launch a new film created by young people, Are You Ready to Know.